Nine police officers have been reminded about the need to uphold their oath to serve with integrity and professionalism at all times. Commissioner of Police Brigadier General Sitiveni Qiliho issued the reminder to the outgoing United Nations Mission in South Sudan (UNMISS) contingent who will be deployed for a year of duty. The Police Commissioner advised the officers that during their term of deployment, they will be serving Fiji and their family and any issues of ill –discipline or misconduct will negatively impact their families and Fiji as a nation. Technology, the Commissioner noted has made life in the mission area ten times better with the communication aides now available and this will enable the officers to stay in touch with their families so that their mind is not divided with what is happening back at home. 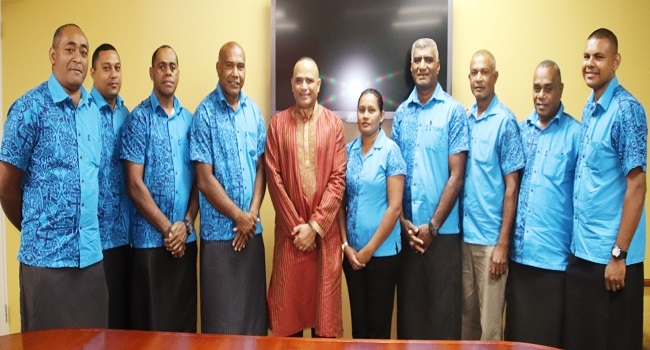 The contingent of nine will be led by Senior Superintendent of Police Malakai Kivarua and departs Fiji on Saturday.